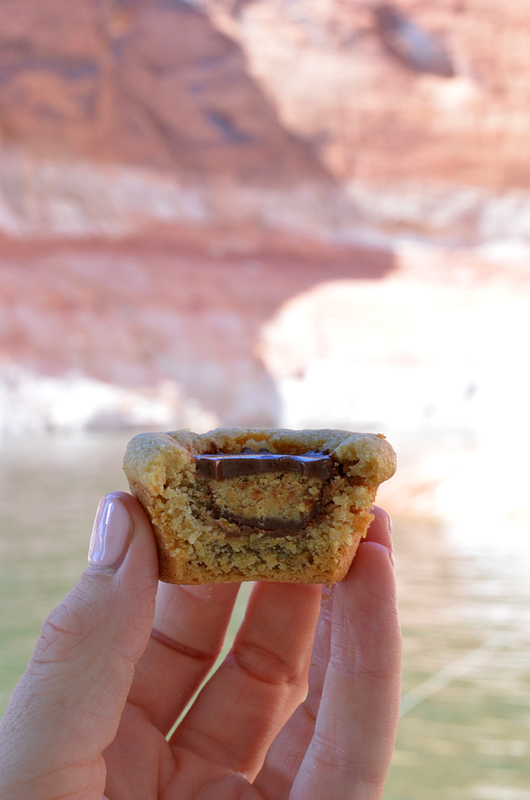 These Peanut Butter Button Cookie Cups are a favorite in our family, especially in Lake Powell! We make a big batch of these cookies every year and then freeze them for our annual trip with the fam. They are always a hit! A chewy peanut butter cookie with a sweet chocolaty center, what could be better? !